It’s true. Besides the leavening effect of the antics of Aspi Irani, Shapur’s son and Zairos’ father, there’s not much humour in Anosh Irani’s heavy-hearted third novel. Instead, those cruel twin clowns figure prominently. It’s a personal tale for the ex-pat Indian author who moved to Vancouver in 1998. It’s one that must be hard to tell, for there is much to be ashamed of in Dahanu, a farming community outside his native Bombay: an economy whose success depends on one group’s subjugation of another, a history of violence and suppression that has persisted into the recent past. Skipping between the 1940s and 2000, the book’s most recent chapters are nearly indecipherable from those from nearly 60 years earlier, when a young Shapur struggles with the price of the prosperity he finds in his adopted home. He is part of a generation of Zoroastrians who fled persecution in Iran, bringing the sacred fires and texts of their ancient Persian faith with them to India, where they found opportunity, becoming doctors, lawyers, artists, businessmen and, in Shapur’s case, landlords. It’s a classic case of oppressed becoming oppressor and the draconian arrangement is barely changed in 2000, when Zairos is running things. Like his grandfather, Zairos recognized that “it was shameful that one man wielded so much power over another,” but is unwilling to forfeit their privilege for fairness. While the reigning class had chai and chatter, air-conditioning and massages to ease their guilt, the Warlis had no reprieve from their deep poverty and its attendant despair, alcoholism and domestic violence. While I suspect Dahanu Road is the sort of novel ladies’ book clubs will be drawn to like moths to a porch light for its exotic setting and the love story at its heart, it is an intensely male story, both in terms of its central characters and concerns: power, privilege and self-preservation maintained through bigotry, classism and a pervasive sexual violence. 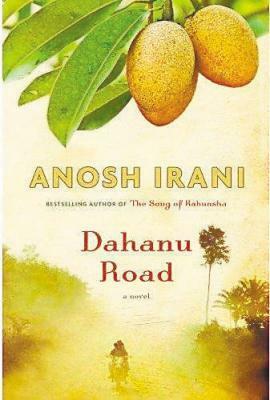 While Dahanu is not somewhere most of us would want to visit outside of the pages of a book, it’s an intriguing place Irani shows us, a place where old struggles yield beauty and love, as well as death and pain. ← Zoroastrianism: Its Stewardship for all Creation, the Animate and the Inanimate.